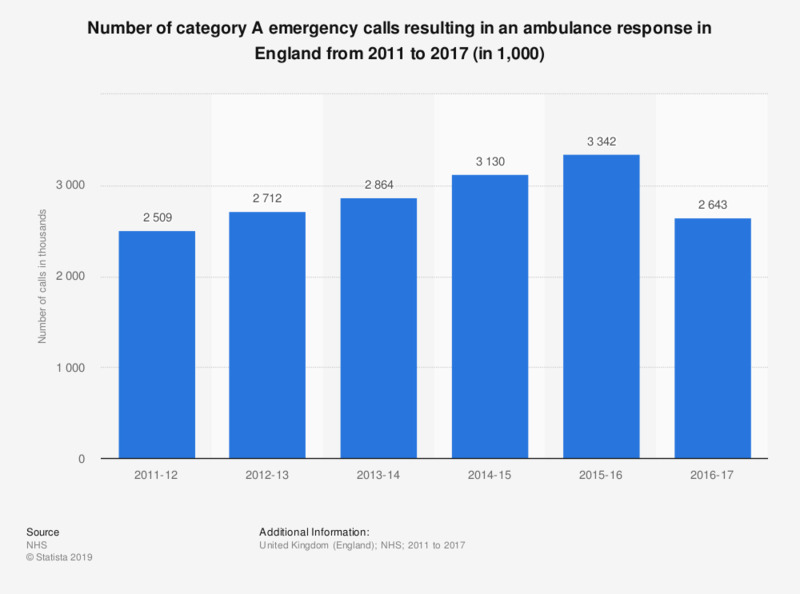 This statistic displays the proportion of emergency calls that were category A emergency calls resulting in an ambulance arriving at the scene in England from 2011/12 to 2016/17. In the period 2016/17 there were approximately 2.6 million emergency calls that were category A calls resulting in an ambulance arriving at the scene. Category A emergency calls include both 999 and 111 calls. Category A is defined as the most urgent. Everything On "Emergency response in the United Kingdom " in One Document: Edited and Divided into Handy Chapters. Including Detailed References. Statistics on "Hospitals and hospital departments in the United Kingdom"